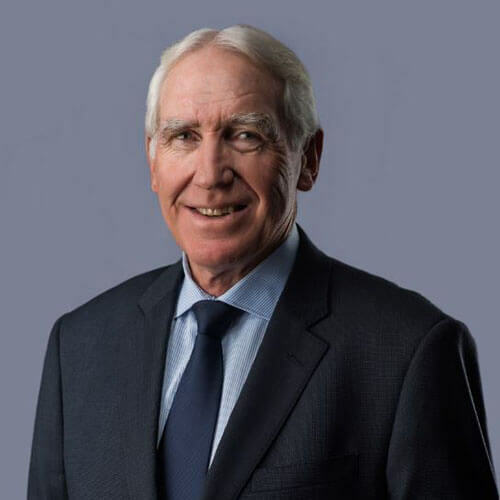 David has been a member of the NZ Institute of Chartered Accountants since 1972 and a member of Governance NZ (previously The Institute of Chartered Secretaries of New Zealand) since 1977. He is a director of a number of small to medium sized companies and is a trustee of several NZ resident trusts. David commenced work at the firm in October 1975 as a Senior Manager and became a Partner in 1977. He has been a Partner/Director of the firm for 40 years having filled the roles over that time of Managing Partner and now Joint Chairman. Throughout his career David has developed enduring relationships with his clients, as a trusted advisor and becoming closely involved with their business and financial interests. David is married and he and his wife Jenny have two adult children and a number of grandchildren. He is an active sports person regularly participating in cycling, golf and tennis. For 25 years David was on the Board of the largest tennis and squash club in New Zealand, Remuera Rackets Club, and was President from 1990-1993. He is a life member of this Club being one of only six in its 99-year history. The firm and David provide honorary accounting and audit services to numerous Charitable Trusts and support the Trustees in their numerous charitable works throughout the Auckland Region. The firm has been a member of DFK International and DFK Australia New Zealand since 1992. DFK is a Worldwide Association of Independent Accounting firms. Worldwide DFK has 220 Member Firms in 93 Countries and Gross Worldwide Income of USD 1.2 Billion. David was a Board member of DFK ANZ from 1995 to 2008 and held the office of Chairman from May 2001 to May 2003. David was also appointed to the Board of DFK International in July 2003 representing DFK ANZ and in July 2004 was elected to the DFK International Executive Committee. David’s last role in DFK was as a member of the Executive Committee of DFK Asia Pacific which role he held for six years from 2005 to 2011.